A number of people have chatted to me since the Nintendo Switch was announced a few days ago and been surprised by my ambivalence. This despite me making a big deal of working on Wii U for the last 2+ years. I’ve never owned a handheld, aside from a brief few months when I had a 3DS. I bought it figuring I could play all those Nintendo and Japanese games I’d missed as a child growing up without a console or handheld in the house. But it wasn’t to be. The games were expensive and I was poor at the time, plus I was too busy with work to sink 30 hours into the epic JRPGs I’d picked up for it. Since then, I’ve struggled to work out just why 3DS has sold so well, considering the rise of mobile gaming should be eating its lunch! I found this Guardian article very influential in my subsequent thinking about both handhelds and Nintendo. The basic premise is that the 3DS is cute, both the form factor, and the games on it (like Animal Crossing). Plus in Japan, it’s seen as more younger kid-friendly than a smartphone. Nintendo Switch doesn’t appear to have any of those same qualities. From the marketing material, it seems to be aimed at lapsed Nintendo fans. 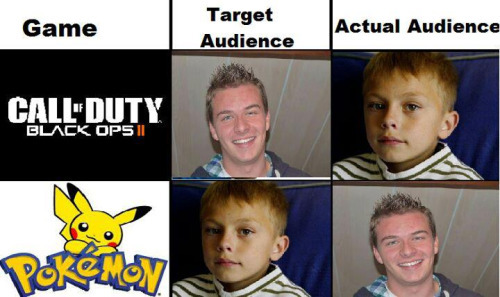 The same people who remembered Pokemon from their childhood and downloaded Pokemon Go in record numbers when the series arrived on their mobiles. Bringing those players from mobile across to the new device will be the real test of whether Nintendo Switch can succeed. The AAA gaming world isn’t interested in creating gaming experiences that transect devices. Neither are indies, who largely want to recreate the retro pixel art gaming of their childhood. Therein lies an opportunity, to create a game that appeals to players beyond the traditional “core” audience, and that works to bridge the gap between mobile gaming and more involved console-like experience of the Switch. 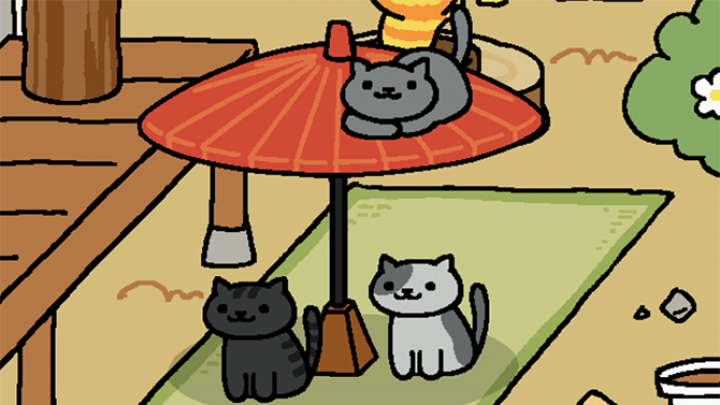 Neko Atsume (pictured above) is a typical mobile type game: Lots of wait timers, micro-transactions, core game loop that can be played in 2 minutes whilst waiting for the bus. However, it’s also mind-bendingly cute. The internet loves cats, and moreover, people generally have a soft spot for pets. If I were going to make a game for Nintendo Switch, it’d basically be all about taking two or three of your cute virtual pets for walks and/or playing with them outside. At least that’d be the mobile version. Buy the Switch version and you can have a whole house full of different pets and a huge array of toys for them, things for them to do. (Maybe you work for a pet rescue centre as normal people don’t have 10 cats and 17 dogs in their house). Unfortunately, I don’t have the money nor the team to go out and make such a game. I’m currently fully committed to finishing Flight of Light. That will take until February, just a month before Switch comes out. And after that, I’m considering going back to developing strategy games. A genre I have a lot of experience in making and playing. However, without knowing if the Switch has a touchscreen, it makes it hard to add it into development plans. Also, I was a bit naive before with Wii U, in thinking I could make something innovative and that would really show off the unique capabilities of the GamePad. It’s easier said than done, and even if the motivation is there, the best ideas don’t necessarily come straight away. Plus I was burned with my experience of the OUYA, chasing a new platform and the opportunities inherent within. When in fact, I didn’t really have the resources to take that opportunity. It was just a mirage. Nintendo Switch remains a big question mark for me. It doesn’t seem like a fit for me, but at the same time, having invested heavily in working with Nintendo on Wii U, seems a shame to let that all slip. Something to think about between now and February. This entry was posted in Games Industry, Wii-U by James Coote. Bookmark the permalink.